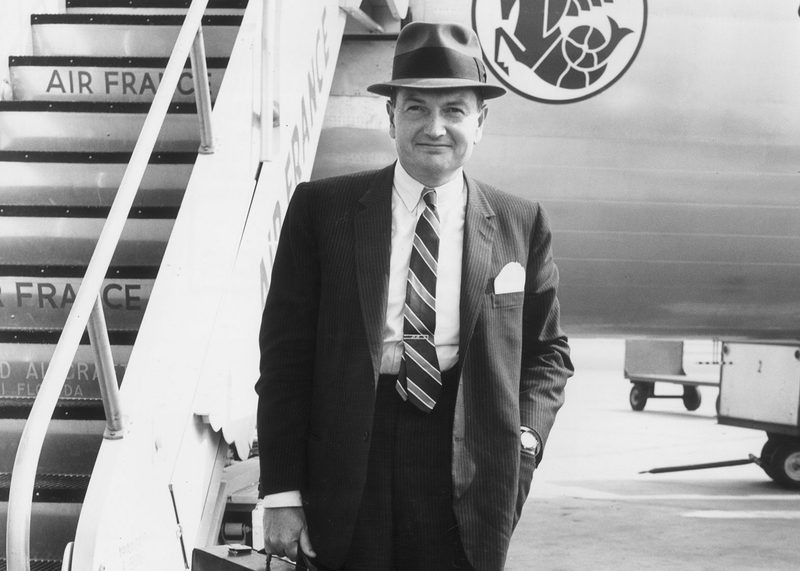 8David Rockefeller at New York International, 1963. Source: Hulton Archive/Getty Images via Bloomberg. David Rockefeller during his service with the U.S. Army in North Africa and France during World War II. Source: Rockefeller Archive Center. From large-scale philanthropy — he gave away nearly $2 billion over the course of his lifetime, with an extraordinary impact on New York City, the United States, and the world as a whole — to his concern for the individuals in his life, Grandpa cared enormously about the people and world around him. Whenever he heard about a problem, whether on an individual or societal level, his first response was to ask those whom he trusted, “What can we do to help?” The verb “to give” is translated into Hebrew as natan, and the symbolism of the palindrome was something I observed in my grandfather’s life: the energy you give away will return to you. Grandpa gave to the world with deep and intuitive generosity, and I believe that aside from time with his family, this was his greatest source of happiness and fulfillment. Whereas letting go in death is a kind of exit, letting go in life is a powerful entry into the present moment, through the portal of total acceptance — of what has come, and gone, and is. Life happens now, and second-guessing the past or worrying about the future are obstacles to our fullest experience of being alive in the present. My grandfather lived long and well. He had tremendous visions for the future, many of which he realized over the course of his life, but he never lost touch with the simplest joys of the moment — tasting his food, connecting with the people he loved, and recognizing the common humanity in everyone. I am grateful to him for all of his living lessons, and for his graceful example of letting go when that’s what there was to do.